Ageing is a normal process that most organisms go through, even our favourite superheros. Some organisms live longer than others with Mayflies living approximately 24 hours to the Greenland Shark with potential lifespans of up to 512 years. There are even some organisms that are considered biologically immortal (besides Logan) with no lifespan like particular species of jellyfish that turn back the clock, reverting to a younger version of themselves. It has been hypothesized that humans will only ever be able to live to around 120 years biologically but there is not accurate way of knowing. What if the process of ageing could be treated, prevented or even reversed like Logan? It all comes down to our ability to repair damage. Ageing is an interesting process and there have been issues with identifying the natural progression as well as results associated with ageing. Some signs that we considered to be normal socially might be precursors for potential disease whereas symptoms associated with particular diseases might be you’re getting older. Most people associate you becoming grumpy as you get older as a norm but research shows that from the age of 30, your personality doesn’t really change and drastic changes could be due to disease. Alternatively loss of lung tissues elasticity, diminished enzyme activity, hardening of arteries (atherosclerosis), hearing loss, sexual tissue atrophy and prostate enlargement are considered normal parts of ageing depending on which age they occur and speed of progression. The process itself still has many unanswered questions with potential for further exploration but what do we know so far? The biological factors of ageing can be broken up into damage related ageing and programmed ageing. Damage related is the accumulation of damage that an organism sustains over time whereas programmed is the adherence to a ‘biological timeline’ as the processes of repair become less effective over time. There are numerous aspects that are associated with ageing that is the target for research and brands that can be broken up into genetic, environmental and behavioural. For example research is being performed in areas associated with DNA methylation, telomeres and NAD+ (components of programmed) and investigation also into the clearing of accumulated waste, accumulated errors in DNA and free radical damage (components of damage related). Let’s look into telomeres and NAD+, and accumulated wastes within the body. Few people in the world have undergone gene therapy to try and counter the effects of ageing with some treating it like a disease. An example of such a person is Elizabeth Parrish who, 2 years ago, used her company BioViva to inject herself with 2 gene therapies. One targeted telomeres and the other her muscles. Telomeres are ‘caps’ that sit on the end of chromosomes to protect them from damage during cell division. These ‘caps’ shorten with every replication so they have been used as a ‘molecular clock’. As they get shorter, there is an increased potential for errors to occur but it must be noted that these have not entirely been linked with lifespan. Regardless, Elizabeth injected herself with telomerase therapy to lengthen her telomeres and theoretical lengthen her life. She also injected herself with a myostatin inhibitor that aimed at increasing her muscle mass. Weeks after the treatment, Elizabeth underwent a plethora of tests to assess her biology and changes from original measurements made before the treatment. They found that her telomeres had lengthened (600 base pairs), adding an equivalent of 20 years of resilience to her DNA, and that her muscle mass had increased, intramuscular fat had decreased, inflammation levels had decreased and also had increased sensitivity to insulin. All these factors and more are associated to the prevention and delay of symptoms associated with ageing and poor health. This is the future could become a normal prescription, like a vaccine, to counter age or misused by gym junkies. This is but one person and further study into the long term effects needs to be done first. I previously wrote an article on NAD+ that had linked its involvement with ageing; since then, there has been some development. NAD+ has shown to have a key role in regulating protein interactions that are associated with DNA repair. Through the administration of a NAD+ precursor, NMN or Nicotinamide mononucleotide, researchers hope to increase the amount of NAD+ present and therefore increase the ability of your DNA and cells to repair themselves. After one week of treatment, the cells of older mice could not be distinguished from the cells of younger mice in the sense of structural integrity and functionality. Since then, this ‘pill’ has caught the attention of NASA as they want to use this research to be able to prescribe the drug to astronauts in an attempt to decrease the cellular damage associated with the radiation levels outside of Earth’s atmosphere. This peak in interest will hopefully increase the funding and resulting increase in investigation by scientists. There are also issues associated with the buildup of wastes such as metabolites from normal cellular activity that negatively affect the human body. Research is getting very closed to removing the buildup of a protein associated with Parkinson’s disease; alpha-synuclein. The protein buildup causes neurons to essentially die but, thanks to research done at The Michael J. Fox Foundation, drugs like phenylbutyrate might prevent this from happening in the future. The drug works by activating a protective gene already found in the brain that moves the proteins into the bloodstream to remove them from the area. Scientists hope that research in this area will lead to a new line of treatments associated with immunotherapies (using the bodies own defenses), pharmacogenetics (drugs custom build for the patient), stem cell therapies and gene modification therapies. Further investigation will hopefully allow for more metabolites to be targeted in the future. If you’re not willing to take drugs or inject yourself with gene therapies to have Wolverine-esk repairing abilities then there are still behavioral aspects that you can change to increase the longevity of your body. New research has shown that high intensity interval training (HIIT) can reverse some of the negative aspects of cellular ageing better than other exercise routines. All training methods assessed found to improve lean mass and insulin sensitivity but HIIT also improved mitochondrial respiration and aerobic capacity. This combined to enhance the synthesis of new proteins; aiding in cellular repair. To get the full list of benefits though associated with the study, published in Cell Metabolism, HIIT needs to be combined with resistance training a couple of times a week to increase muscle strength; aided by the increased protein synthesis. So whether it it be gene therapies, drugs or just changing some of the aspects of your lifestyle, there are a couple of ways to assist in adding a couple of more years to that precious life of yours. Now, I’m still trying to find a study on getting adamantium fused to my skeleton; maybe in the next 5 to 10 years. 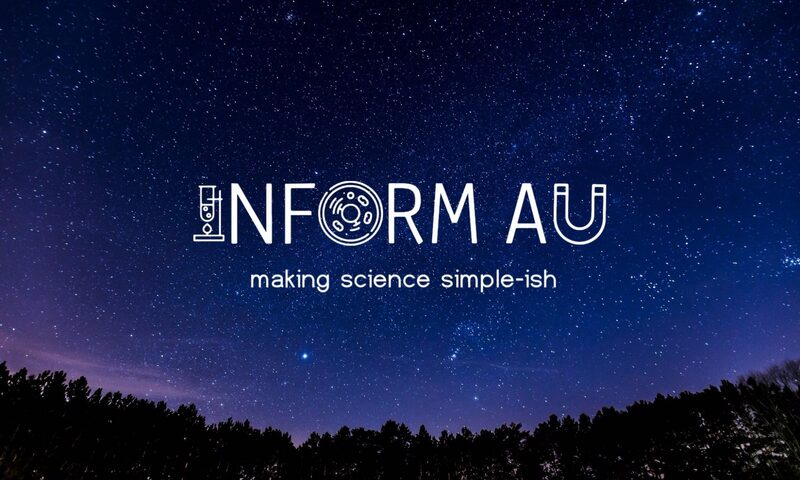 Previous PostPrevious Inform AU Podcast Ep 6! Next PostNext Two Breakthroughs Could Lead to The Mass Production of Blood and Heart Tissue.